I offer care that powerfully enhances what your cancer specialists, primary care provider, and palliative care team provide. My use of Anthroposophic medical therapies helps you tolerate aggressive chemotherapy and radiation treatments and improves quality of life. I am also here to remind you of the enduring nature and wisdom of your spirit. The shock of a serious illness invites a reevaluation of the meaning of your life. I provide enhanced spirit engagement that offers new strength and enthusiasm for what is most important to you. If you are facing the immediate threat of death, connecting with your spirituality can be extremely reassuring, and opens up conversations that may not happen easily with others. Anthroposophic homeopathic remedies that provide important practical support by improving symptoms of fatigue, loss of appetite, anxiety, depression, and pain. 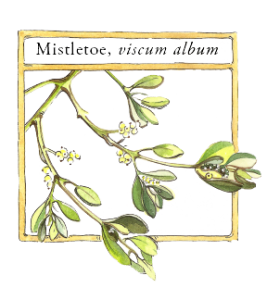 Mistletoe injections that improve quality of life and tolerance for chemo and radiation. External compresses that support your metabolism and balance emotions. Therapeutic Eurythmy that balances your etheric life body and nourishes the soul. Artistic expressions that nourish your soul & spirit.